Fans of the CW series, RIVERDALE, will be happy to know that one famous Archie character will finally grace their screens, albeit in a spinoff series. It has be confirmed that Sabrina, The Teenage Witch will get her own RIVERDALE offshoot, with an aim for 2018-2019 season. Unlike the previous, Melissa Joan Hart-led SABRINA, this version will be darker and deal with themes of horror, the occult, and of course- witchcraft. While this sounds like it could be BUFFY, THE VAMPIRE SLAYER 2.0 (not that I’d have a problem with that) according to EW.COM , the series would be closer in tone to ROSEMARY’S BABY and THE EXORCIST. 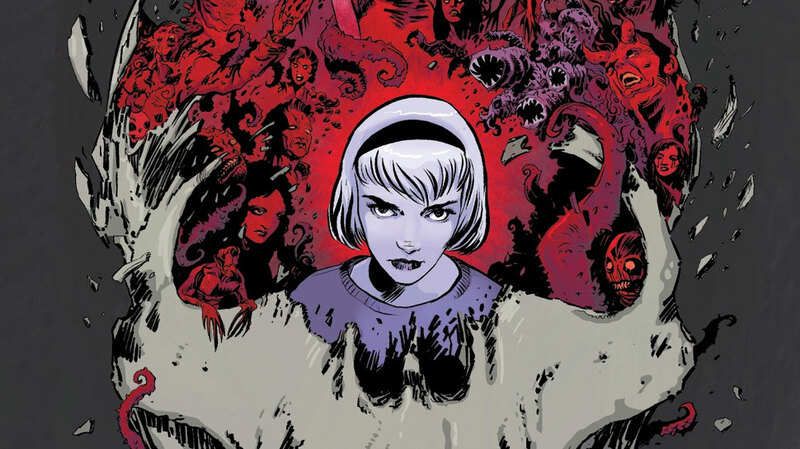 The series, inspired by the comic series, THE CHILLING ADVENTURES OF SABRINA, reimagines the Sabrina character which further distances itself from the pre-teen friendly version that ran on ABC in the late 90s-early 00’s. I’m a huge fan of the Archie comics and am fully on board with the dark take presented in RIVERDALE, so I’m all for this new series. More to come as information spills. Are you excited for the new series? Sound off below. I’m so excited about this show. I love Riverdale and I even watched the original Sabrina as a kid. This show certainly has a promising team behind it. I’m excited as well.